Hunter Douglas Silhouette Window Shadings have been the leader in light diffusion for over 25 years. Hunter Douglas Silhouette Window Shadings has the signature S-Vane that appears to be floating between two sheer fabrics. Engineered with no cords or tapes, the silhouette Shading allows you to view outside with a discreet level of all day privacy. Hunter Douglas Silhouette Shading diffuses strong, harsh sunlight into beautiful ambient light with their white rear sheer shade. Silhouette shadings also helps protect your skin and home from damaging ultraviolet (UV) rays from the sun. With the protection from the sun’s damaging rays, Silhouette Shadings adds longevity to your valuable possessions. 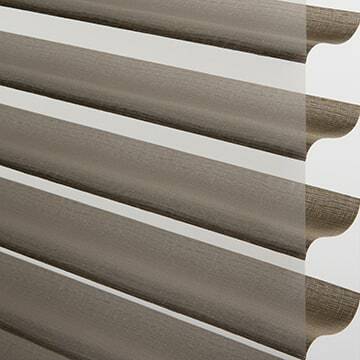 Depending on your fabric choices, Silhouette Shadings can filter up to 88% of the suns harmful UV rays. Hunter Douglas window Shadings are covered by lifetime limited warranty. 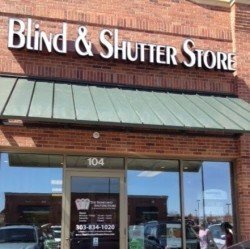 At the Blind and Shutter store, we have a variety of sheer shade selections which allows you to choose the shape that fits your window including the style and color. You also have the option to make your sheer blinds motorized and child safe.